The share of 25- to 34-year-old women who are employed or looking has staged a sharp turnaround since 2016. For their male counterparts? Not so much. Millennial women are participating in the American job market at levels last seen in 2000 as people like Remya Ravindran dive back into the labor pool. That’s good news for the U.S. economy, as an injection of workers gives overall production more room to run. The phenomenon is also positive for newly-employed women, because they may be laying the groundwork for higher wages as their careers progress. But it creates a puzzling contrast with young men: that group has posted a comparatively weak labor-market rebound. Their participation rate — though still higher than their female counterparts — has failed to recover to pre-recession levels. The gap between young women who are working or looking and their male peers has narrowed to 12.3 percentage points. That’s down from 16.7 points 20 years ago, and it’s the lowest gender divide the age group has ever seen. Cultural shifts are probably at play. Millennial women are now more likely to have a college degree than their male peers, and employment rates climb with education. The age group has also been delaying weddings and kids. That should boost employment for women, who often drop out of work after marriage, even as married men tend to work more. Men without college diplomas have been struggling to find lucrative jobs, which could itself keep women at work as they choose to supplement household income. And single-mother households have been on the rise, leaving more young women supporting families. In fact, single mothers have staged by far the biggest comeback in the labor force of any group of young women since 2016, based on an analysis by Ernie Tedeschi at Evercore ISI. Married women without kids come in second. Still, none of those trends fully explain why female participation started taking a clear step higher three years ago. It could be that an uptick in wage growth has tipped the scale: it may be easier for mothers to afford child care as jobs pay more. And it almost certainly helps that industries doing the most hiring — led by education and health services — include many job titles dominated by women. Amanda Woodruff-Truog returned to her job as a travel nurse last year shortly after giving birth to her third child. Demand for nurses is so high that the 29-year-old has enjoyed her pick of locations and jobs. “I just wanted to be back in the field,” she says. Her husband sold his company in Florida to move to Illinois, the location of her current job, and he’s working part time and helping to take care of the children while Woodruff-Truog works and pursues a master’s degree at Purdue University. “There’s definitely not enough hours in the day, but for some reason we make it work,” she said. 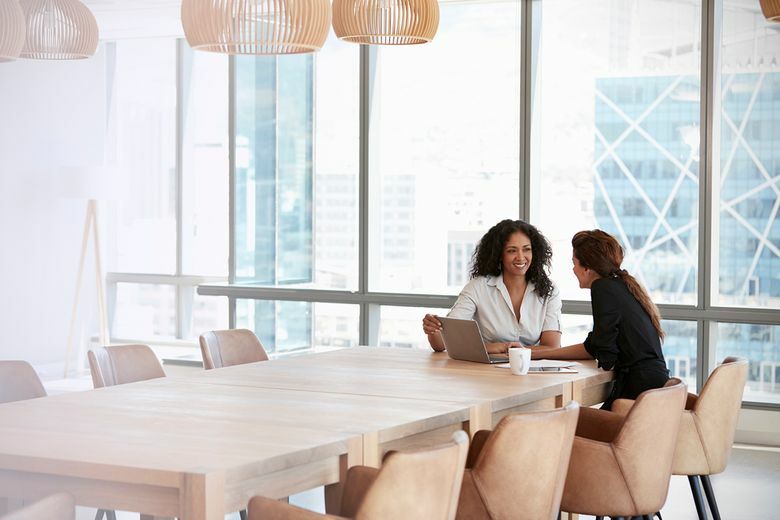 Laura Rosner, senior economist and partner at Macropolicy Perspectives in New York, said it’s “up in the air” whether a greater share of women will continue to join the labor market. But America’s counterparts in advanced economies might offer clues. Prime-age women in the U.S. used to work nearly as much or more than their peers in Canada, Germany and the U.K. In recent decades, however, their employment rates have slipped behind. San Francisco Fed economists including Mary Daly — who now runs the regional bank — have suggested that America’s comparatively-weak parental leave system could be holding back its female employees vis-à-vis their Canadian counterparts. Still, the fact that America’s young women are staging a reversal — and one driven by mothers — suggests that there may be room for catch-up even absent major policy changes. “The gap that we see with other countries may not just be structural — there may be a cyclical component here, too,” Tedeschi said. U.S. employers increasingly offer family-related benefits like paid leave and on-site lactation rooms, Society for Human Resource Management survey data show, changes that could help some women to stay at their jobs. Goldman Sachs Group Inc. economists point out that labor-force participation among women has been a cornerstone of recent progress in the job market. They see room for another “modest increase” of prime-age females in the labor pool this year. Without more permissive family-work policies, however, the scope for a full catch-up to other advanced economies is limited. But if you ask Woodruff-Truog, millennial women are poised stay on the front lines of the labor comeback. She looks around at her peers and sees a cohort that’s highly motivated to work, not just for money, but also for fulfillment and financial freedom. “I don’t ever remember a time when so many women were like, ‘I can do that,”’ says the young mother, who attended nursing school while pregnant with her second child because she didn’t want to depend on her now-ex-husband’s income. She says the rise of dating apps and the casual relationships that come with them — plus the broader decline of marriage — is spurring other women she knows to get trained and go to work. “Relationships are not like they used to be,” she said. With assistance from Alex Tanzi.